NEW DELHI: Against the backdrop of attempts to reach out to the powerful Jat and Patel communities demanding education and job quotas, the Narendra Modi government has decided to upgrade the backward commission into a constitutional body and give parliament a free hand to include any community as backward. The amendment will also define communities that will qualify to be counted as socially and educationally backward classes, or the Other Backward Classes (OBCs) as they are often called. The National Commission for Backward Classes - that was set up by a 1993 law - will be disbanded, and replaced by this constitutional entity. Under this law, communities are classified as OBCs by an executive decision on the basis of the national commission's recommendations. Months before the 2014 General Elections, the outgoing UPA government had included Jats in the central list of OBCs for nine states though the commission had rejected their claims. The Supreme Court, however, found faults with this order because the community did not meet the minimum criteria to qualify; it was doing far too well to be classified as a backward. The court quashed the order in 2015. 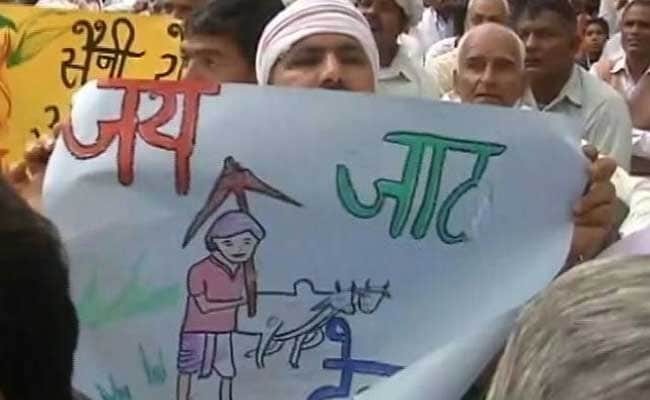 Last year, Jats community launched a violent agitation in Haryana that killed about 30 people. This month, they were assured that the quota process will be initiated after a planned protest triggered a huge security clampdown. It is expected that a parliamentary approval for castes to be recognised as OBCs would make it difficult for courts to intervene. One of the BJP's most prominent Jat face in Haryana, Chaudhary Birendra told NDTV that the Modi government's decision "would set a regular procedure where, anybody who gets in or doesn't get in would be satisfied to a large extent". Asked about how this was play out for the Jats, the Union Steel Minister said the community had already moved the backward commission for a fresh survey. But the government hasn't appointed anyone to the commission after its chairman and members appointed earlier completed their term. "It is totally empty and almost defunct," minister said, conceding that the fresh survey would have to wait for the new entity to be set up unless the existing posts are filled. While the protesters claim that they have been left behind following the government's bounty to backward classes, the authorities have argued that these communities are seen as possessing both political and money power. The Patels have long been a dominant community in Gujarat, several of the state's key politicians belonged to it. In Maharashtra, the top leadership, cutting across party lines, belong to the Maratha community.